A top Japanese politician could be holding a finance ministry official accountable for allegations of sexual harassment that began with a leaked recording of remarks made to female journalists. Taro Aso, who is serving as Japan's deputy prime minister and finance minister, said Tuesday the voice of the man on the recording could be Junichi Fukuda, an administrative vice minister, who is facing the allegations, according to NHK and other Japanese news services. 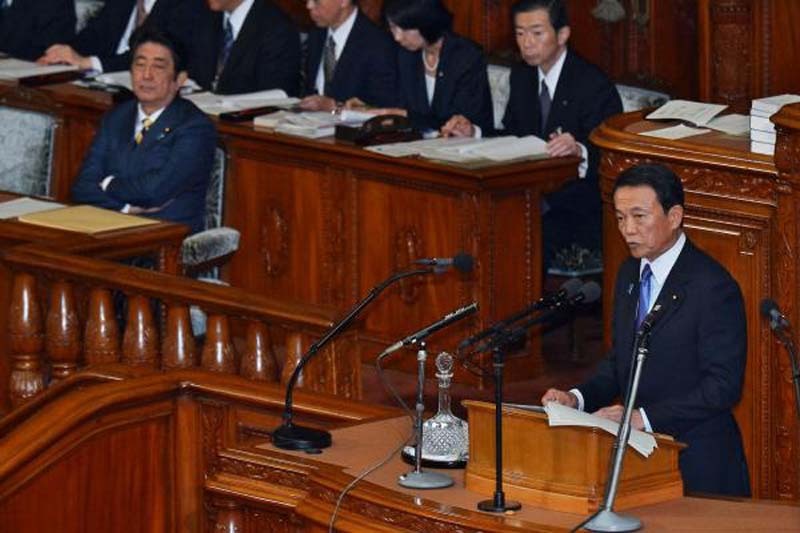 "I felt that could be vice minister Fukuda" on the recording, Aso said. Fukuda's name began making headlines last week in Japan, when a local magazine, Shukan Shincho, reported Fukuda sexually harassed women who were drinking with him. According to the report, Fukuda said, "Can I give you a hug?" and "Can I touch your breasts?" Fukuda also suggested "going to a hotel" to some of his companions. The remarks were on the audio clip that was released last week, Kyodo News reported Tuesday. As popular opinion turned this week against Fukuda, Aso is changing his position. The deputy prime minister had said Thursday, following the report, Fukuda had been "warned" and appeared to have "sufficiently apologized." When Aso's remarks were not enough for the Japanese public, he then said Fukuda should be "out" if he is found guilty of sexual harassment. Fukuda, 58, has said he plans to sue Shukan Shincho for defamation, according to Kyodo. Fukuda said he never made the remarks captured in audio, because that would "make a female reporter feel uncomfortable and that could be taken as sexual harassment." The finance ministry is at the center of other controversies, including an under-the-table land deal between the government and Moritomo Gakuen, a school foundation with ties to first lady Akie Abe.